The 2019 PUMA International Open was held on Saturday 16th February in Swindon. Just one North West Spirit student was able to attend: 8-year-old Owen Gargan. 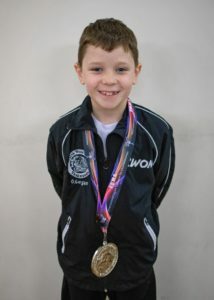 Despite the high standard of competition, Owen did a great job of representing the club, coming away with a silver medal in sparring. ← Our Club’s 12 Year Anniversary!